Draft: 2013, Oakland Athletics, 3rd rd. Ryon Christopher Healy…resides in West Hills, CA…graduated from Crespi Carmelite (CA) HS…played three seasons at the University of Oregon…named All-Pac-12 First-Team as a junior in 2013 after batting .333 with 11 home runs and a single-season program-record 56 RBI…ranks 2nd all-time in school history with 118 career RBI. The Totals - Hit .235 (116x493) with 51 runs, 15 doubles, 24 home runs, 73 RBI and 27 walks in 133 games with the Mariners... Ribbies - Hit 2 home runs and had a career-high 6 RBI on July 22 vs. the White Sox…became the 5th Mariner in club history-the 2nd in 2018-with a pair of 3-run home runs in a game, joining Edgar Martinez (5/26/97 at MIN), Bret Boone (6/4/01 vs. TEX), Justin Smoak (5/30/12 at TEX) and Nelson Cruz (6/22/18 at BOS)...Dingers - Hit a home run in 12 of his 16 multi-RBI games this season, including 3 games with multiple home runs (4/29 at CLE, 6/12 vs. LAA, 7/22 vs. CWS)…his 3 multi-home run games were 2nd-most on the club, trailing only Nelson Cruz (4). ..He's Clutch - Hit a 2-out, 2-strike, game-tying solo home run in the top of the 9th inning at Houston on Aug. 12…the Mariners went on to win in 10 innings…hit 4 game-tying home runs this season, tied for 7th-most in the American League (8 others) and trailing only Nelson Cruz (5) for the club lead...No Friend to the Angels - Hit 6 home runs vs. the Angels this season, 2nd-most of any player in the Majors, trailing Nelson Cruz (8), and tied for 3rd most by a Mariners player in a single season…tied with Bret Boone (2003), while trailing Cruz (10, 2016 & 8, 2018) and Alex Rodriguez (7, 2000). ..Tic-Tac-Toe - Homered in 3 straight games, June 11-13…was the 2nd time in his career to homer in 3 straight games (also: May 4-7, 2017 w/OAK)...When He's Hot - Recorded 8 multi-hit games in the span of 15 games, April 29 - May 15, batting .367 (22x60) with 17 runs, 5 doubles, 7 home runs, 14 RBI and 4 walks over that span…in 17 games from Aug. 11 - Sept. 3, batted .377 (23x61) with 7 runs, 2 doubles, 3 home runs, 12 RBI and 4 walks...Walk It Off - Hit a walk-off double in the 11th inning on May 5 vs. Los Angeles-AL… marked the 3rd walk-off hit of his career...Big Day - Equaled his career-high with 4 hits on June 30 vs. Kansas City...DL Time - On the 10-day disabled list with a sprained right ankle April 9 (retroactive to April 8) - April 26…appeared in 4 games on a rehab assignment with Double-A Arkansas, where he hit .333 (5x15) with 3 runs, 1 home run, 6 RBI and 3 walks. Was called up by Oakland July 15 and started 72 of the A's 73 games after the All-Star Break at third base in his Major League debut…led ML rookies in doubles after the break (20) and topped American League rookies in hits (82) and extra base hits (33)…also ranked second in the AL in home runs (13), RBI (37) and runs (36)…overall, he tied for fourth among AL rookies in doubles, ranked fifth in multiple hit games (23), sixth in home runs and total bases (141), seventh in extra base hits, eighth in hits and RBI and tied for eighth in runs…hit .305 in his 72 games with Oakland after combining to bat .326 with 14 home runs and 64 RBI in 85 games with Double-A Midland and Triple-A Nashville… was honored as the A's Organizational Hitter of the Year and was named to both the Baseball America Major League All-Rookie Team and Minor League All-Star Team as the third baseman…his .305 batting average was the second best mark in Oakland history by a rookie with 250 or more plate appearances to Mitchell Page, who batted .307 in 1977… his .524 slugging percentage was second best to Mark McGwire's .618 in 1987…hit .223 over his first 28 games through Aug. 13…then batted .349 over his final 45 contests…improved each month after joining the A's…hit .241 with two home runs and seven RBI in July, .303 with four home runs and 10 RBI in August and .355 with seven home runs and 19 RBI in September…had a .313 (21-for-67) batting average against left-handed pitchers compared to .302 (61-for-202) against right-handers…also batted .333 in the seventh inning or later, .328 on the road, .316 with runners in scoring position and .313 at night…hit 13 home runs in 72 games, which tied for fourth most in Oakland history among players to appear in fewer than half of the A's games (80 games or fewer)…led A's third basemen with 72 starts, which were the most by an A's rookie since Eric Chavez had 98 in 1999…committed nine errors for a .954 fielding percentage…started games at every spot in the order except first and second…had his best success with a .368 average in 15 games in the six spot. Spent the season with AA Midland, batting .302 (153x507) with 63 runs, 31 doubles, 1 triple, 10 home runs and 62 RBI in 124 games…named to the Texas League Postseason All-Star Team as well as the Texas League Mid-Season All-Star Team. Appeared in 136 games with advanced-A Stockton, posting a .285 (160x561) average with 73 runs, 28 doubles, 2 triples, 16 home runs and 83 RBI. Began his professional career with the AZL Athletics, where he hit .214 (6x28) with 4 runs, 1 triple, 2 home runs and 8 RBI in 11 games…transferred to short-A Vermont on July 25, batting .233 (34x146) with 12 runs, 10 doubles, 4 home runs and 21 RBI in 36 games. April 26, 2018 Seattle Mariners activated 1B Ryon Healy from the 10-day injured list. April 20, 2018 Seattle Mariners sent 1B Ryon Healy on a rehab assignment to Arkansas Travelers. April 9, 2018 Seattle Mariners placed 1B Ryon Healy on the 10-day disabled list retroactive to April 8, 2018. Sprained right ankle. November 15, 2017 Oakland Athletics traded 1B Ryon Healy to Seattle Mariners for SS Alexander Campos and RHP Emilio Pagan. 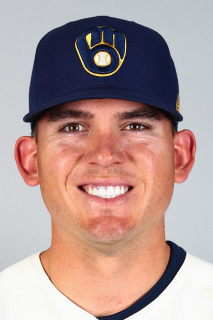 July 15, 2016 Oakland Athletics selected the contract of 3B Ryon Healy from Nashville Sounds. May 17, 2016 3B Ryon Healy assigned to Nashville Sounds from Midland RockHounds. March 4, 2016 3B Ryon Healy assigned to Oakland Athletics. July 16, 2015 Midland RockHounds activated 3B Ryon Healy from the 7-day disabled list. July 8, 2015 Midland RockHounds placed 3B Ryon Healy on the 7-day disabled list. April 7, 2015 3B Ryon Healy assigned to Midland RockHounds from Stockton Ports. March 13, 2015 3B Ryon Healy assigned to Oakland Athletics. March 31, 2014 3B Ryon Healy assigned to Stockton Ports from Vermont Lake Monsters. July 25, 2013 3B Ryon Healy assigned to Vermont Lake Monsters from AZL Athletics. July 8, 2013 Ryon Healy assigned to AZL Athletics. June 17, 2013 Oakland Athletics signed 1B Ryon Healy.